A Pamphlet for your information on allergic reactions. Have you ever wondered if you are allergic to a food? Perhaps, you find that after eating certain foods you have symptoms such as itchiness, skin redness, diarrhea, or even difficulty in breathing. If this is the case, it is important to determine if you are suffering with allergies. This is a general term that is used to describe any abnormal reaction to a food. For anyone with a food intolerance there will be an abnormal response to a food or food additive. Lactose intolerance for instance may occur when the individual lacks the enzyme to break down milk sugars and will have symptoms such as indigestion, diarrhea, or abdominal pain. This is an adverse reaction caused by a food without any immune system mechanisms involved. Toxins which are bacterial, or other poisons may be either contaminated with the food or released by microorganism or parasite contaminated food products. This is a severe allergic reaction, which can be caused by food. Some patients may develop shortness of breath, sneezing, vomiting, diarrhea, swelling, or generalized hives. The lungs, skin, and intestinal tract may all be involved in this reaction and it can be FATAL. The most common causes of anaphylaxis are peanuts, nuts, shellfish, fish, and eggs. However, there have been reactions reported to milk, certain fruit, tomato, celery, corn, soy bean, and other foods. If you have ever suffered a severe reaction to a food, it is imperative that you carry epinephrine at all times. You may find that the first reaction to a food is abdominal pain, diarrhea, cramps, vomiting, hives, shortness of breath, itching of the mouth, and swelling of the lips. If you have any of these symptoms after eating, write down what you have eaten in a food diary, and ask your allergist about it. Some people also suffer adverse reaction to some additives with anxiety, facial flushing, a sensation of pressure in the chest – this id thought to be caused by eating large amounts of flavour enhancers which are often used in restaurant cooking. It is important to read labels if you are cooking at home, and ask about ingredients if you are eating out. Sulfites, which are preservatives used in many commercially preserved foods, are thought to cause adverse reactions in some asthmatics. Anyone who suspects a food allergy should consult with a physician. The severity, timing, and nature of the symptoms should be noted. Allergy skin tests, performed by a qualified specialist, may be helpful in determining the cause of allergic reactions. However, patient history is of greatest importance in a diagnosis. The best treatment for non-severe reactions is avoiding the food which causes the problem. Always read labels carefully. Patients with serious and life threatening reactions to foods should always carry epinephrine, so they may inject themselves should they develop any swelling of the throat, or wheezing. The patient should also wear a MEDIC ALERT bracelet. If you are eating out in a restaurant, consult with the chef, not just the server, and indicate clearly the foods to which you are allergic. 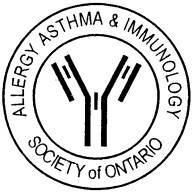 Carry important information about your allergies with your health card.